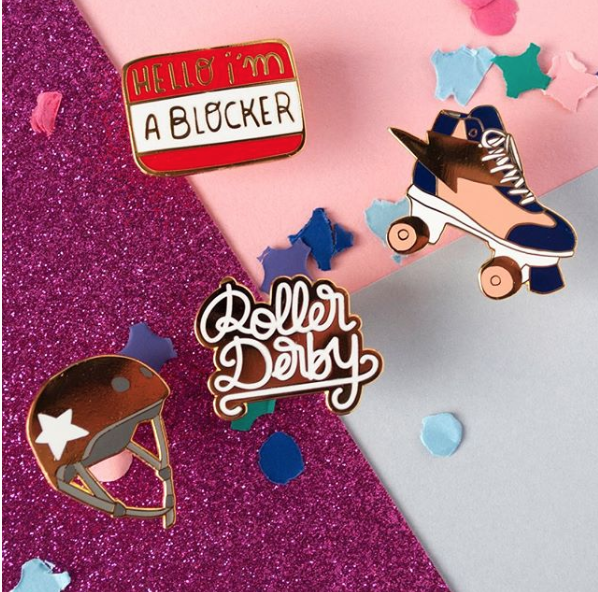 The Ultimate Roller Derby Gift Guide | 17 Ideas To Keep Em Rolling! 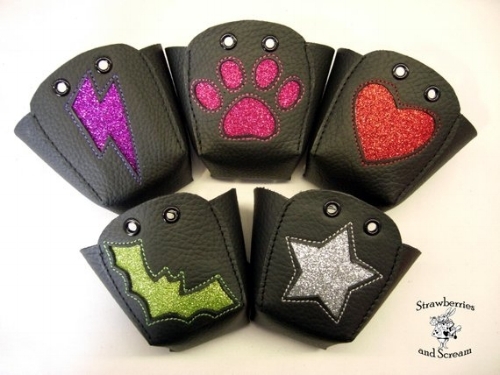 Looking for gift ideas for your co-worker, friend or family member involved in roller derby? 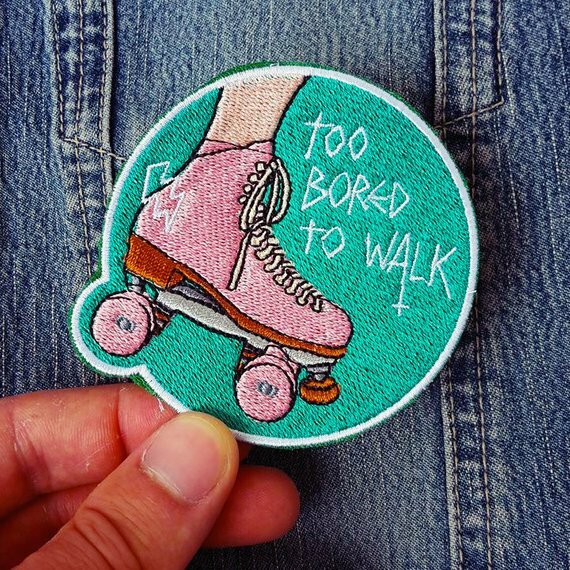 Whether you’re looking for a gift for a skater, official, junior or roller derby fan, here are 17 ideas they’ll love! Skip the basic derby shirts and get them something special! Skate Pretty and Roller Derby City have some of my FAVORITES I am 99% sure your friend doesn’t have in their closet! Skate leashes, toe covers, wheel bags, there are tons of little skate things your derby person will love! Derby names are one of the most fun parts of the sport! Get your derby person a custom helmet decal from Derby Decals or scrimmage shirts likes these from CausticThreads! Also my friend Dad Jokes makes awesome custom name graphics, perfect for junior skaters! Get a physical, maybe even framed, photo! They’ll love a photo from important games, candids with friends, MVP shots, team photos, headshots whatever! This is a great gift for any derby person AND you’re supporting derby photogs! Heck yeah! This is a perfect time for derby-specific fitness programs! TrebleMaker909 Fitness Gone Rouge and Roller Derby Athletics make derby-specific programs and Iron Octopus Fitness’ Jump the Apex program is perfect for getting stronger over offseason! Perfect for co-workers, stocking stuffers, roller derby gift swaps! If a physical gift isn’t the right answer for your derby person consider donating to something on their behalf! The Girls on Track Foundation is doing great work! Looking for a gift for a comic-lover? SLAM and Flat Track Furies are some of my favorites! If you’re looking for a gift for a roller derby skater, we always need a black and a white shirt in our gear bags for scrimmage scenarios and mashups at practices, events and bootcamps! You can get a cool shirt with a name printed on the back for an affordable price but this reversible jerseys from Frogmouth is at the top of my list because I’m very forgetful and this would be so convenient! Passes for Rollercon, the year’s biggest derby event, go on sale Black Friday! Your derby person wants to go, I promise. A friend of mine received a SouthWest Airline gift card last year and it blew my mind. Especially for high-level teams, air travel is necessary for competitive play, and comes with a big price tag. Even if they don’t need it for their own games, they can use it for getting to a tournament, bootcamp or Rollercon! 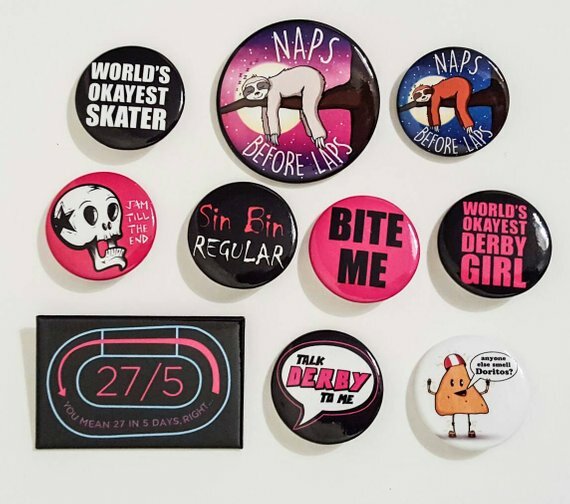 Derby people love putting pins and patches on skate bags, hats, fanny packs, jean vests, everything! I’m OBSESSED with the pins from Peach Perfect and are some of my favorites from Bite Me Boutique , Busking Bears, and Tamed Raven﻿! 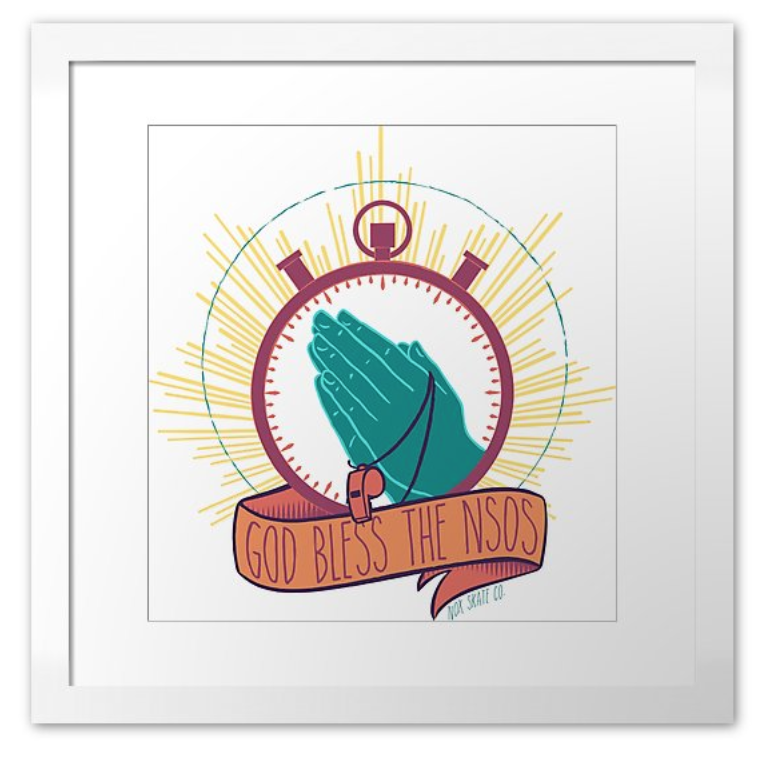 Get your derby person something they can hang in their house, office, locker, whatever! Check out these from Slampersand, ChinUpPrints and Nox Skate Co! 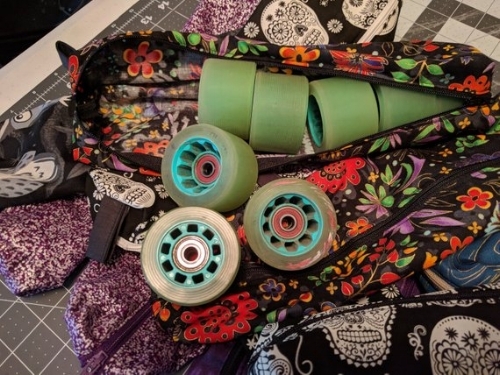 While most people think of fanny packs dorky tourist accessories, the derbyverse knows the truth- Fanny packs are the bomb! Great for travel games, outdoor skating, and after parties! Bout Betties is a great subscription box with multiple options! It’s a gift that keeps on giving! If all else fails, Derby people almost always need to replace something in their kit. Help them out with a gift card to their favorite skateshop! Mine is my sponsor Wicked Skatewear and RIGHT NOW THEY’RE HAVING A 20% OFF EVERYTHING SALE! Check out my other blogs for more roller derby wonderfulness! Who cares if it might be a cult?? Here are 17 gifts to keep your friend you don't see anymore rolling!